Chinatown vendoes of designer fakes are getting shut down. You were hoping to score some knockoff Prada or D&G for your statussy relatives this holiday season? 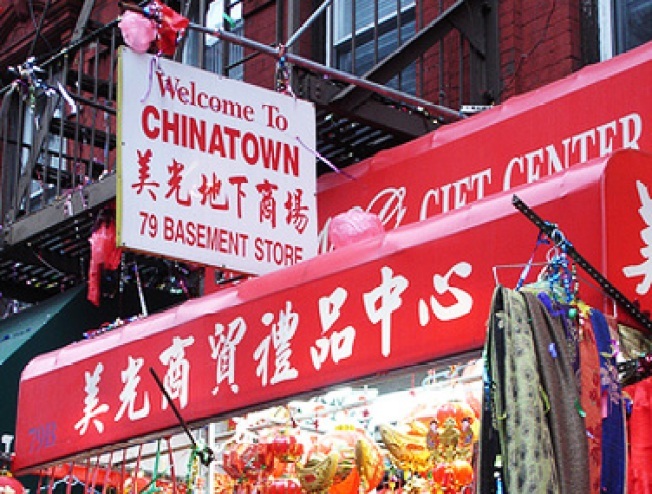 Yeah, too late: Chinatown's fakeries are shuttering. Luke Wilson: "Relentlessly mundane" Twitter addict? It's the most wonderful time of the year -- unless you work at Viacom, in which case you may be one of the 850 people who got their stocking stuffed with a pink slip. Find out how your Christmas tree can kill you! Details at 11. What will Viacommers do with all their newfound free time? How about creating a portrait of Mario Cuomo (or any New York governor) using "Illustrator, Photoshop and other drawing and image-manipulation software"? The City Room wants your submissions by 5PM tonight; "abstraction is O.K., but the portrait should bear some reasonable likeness to one of the governors." Oh City Room, you sure know how to have fun. Does your condo have a zinc exterior and glass discs illuminated from behind by LED lights? Hell, does it have an indie movie theater in the lobby? We think not. That's because you don't live at the just-unveiled Metropolitan Cinema & Apartments. Need more Eliot Spitzer? Client Nine is Slate's new financial columnist. ...& ICYMI: It's officially happened: The NYT has run out of restaurants to review! So Bruni went to Momofuku Ssam Bar. Again.